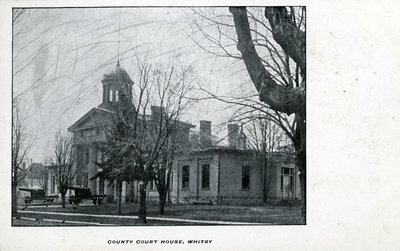 A black and white postcard of the Ontario County Courthouse. Ontario County Courthouse, Date Unknown,Creator Unknown. Whitby Archives.